Get your free poster when you click the add to basket button. 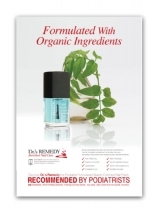 NEW DESIGN - Click the add to basket button to receive your free Dr.'s Remedy leaflets in the post. Box fits 3 Dr.'s Remedy Nail Polish Bottles Inside. Price per 1 box. 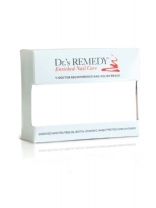 Display is made of natural wood to reflect the organic ingredients of the Dr.'s Remedy Nail Care Products. Dims: height:41.5cm Width:24.1cm Depth:36.5cm Note: Products not included on display. 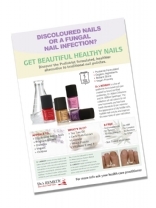 Promote Dr.'s Remedy with an informational Poster and Leaflets great for you Practice/Salon.